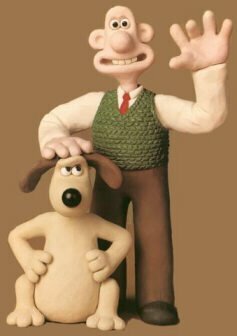 Hooray for Wallace & Gromit! Ever since my cousins Adam and Christian showed me "A Close Shave" and "The Wrong Pants" many Thanksgivings ago, the winsome camaraderie between that cheese-lovin' Englishman and his industrious mute of a canine best friend has claimed a tiny, albeit tireless place in my heart. "The Curse of the Were-Rabbit" was phenomenal.